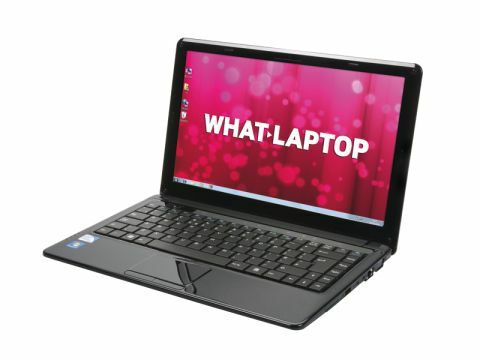 The Verona is Advent's latest attempt at a CULV laptop and, while it is suitably cheap, it falls short in most categories. The point of a CULV laptop is that it should be extremely portable. While the dimensions of the Verona are small, and the 1.7kg weight is fairly average, the 159-minute battery life is inexcusably short. Providing you with less than three hours of battery life, this performance is put into perspective when considering that other CULV laptops we've tested have run for over twelve and a half hours. A low-powered Intel Celeron processor – designed to be resource light on the battery – is employed alongside 3072MB or memory. Performance is inevitably quite limited and you won't be able to run anything more powerful than office applications without the laptop quickly showing signs of lag. The integrated Intel graphics card allows you to do the most basic of photo editing, although the majority of market-leading editing suites are likely to struggle to run very smoothly on this machine. The 13.3-inch screen is bright, crisp and clear and the 1366 x 768-pixel resolution provides very detailed images, so working with applications such as spreadsheets won't be a problem. There is a shiny Super- TFT coating in place which does create distracting reflections in bright light. Build quality is decent enough, with hard black plastics and an attractive swirly design. Despite the shininess of the materials, this laptop doesn't pick up too many fingerprints or smears. Despite the keyboard being firmly mounted on to the chassis, with very little flex in evidence, we found it a frustrating proposition. The keys feature a very springy action, which makes it bouncy to use and, despite a regular layout, many of the keys on the periphery of the board are quite awkward to hit when speed-typing. The touchpad is responsive and concise, but the mouse buttons on our review unit proved very stiff to use, requiring real force to successfully register a hit. 802.11n Wi-Fi and 10/100 Ethernet provide the networking capabilities and there's also Bluetooth included. Three USB ports provide room for peripherals and a VGA-out port lets you connect to an external monitor when at home or working in the office. The Advent Verona is a flawed system in that it doesn't tick the portability and usability boxes we would expect of a CULV laptop, and while it is cheap, there are far better options around for only a little more money.